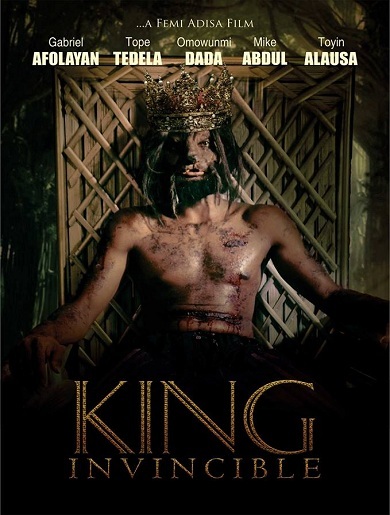 Tope Tedela, Set in the medieval Yoruba Kingdom, “King Invincible’’ is an epic story of love and war starring Tope Tedela, Gabriel Afolayan, Omawunmi Dada, Peter Fatomilola, Mike Abdul and many more promising Nollywood actors. A handsome warlord, ‘Taari’ (Tope Tedela) is fast transitioning into a wolf due to the curse of the dogs that has been placed on him. He must immediately find the cure to this curse or forever be damned.